My passion for baking cakes and desserts began at a very young age. I was always the child lurking in the in the kitchen helping mix the cake batter & waiting to lick the bowl. I was my mother’s assistant as she baked cakes, cookies & pies for church, family members & my little sister’s school. I was infatuated with learning new recipes and techniques to create delicious desserts. The joy I felt watching my dad & siblings face as they tasted something new that we create was priceless. As I grew older, I only baked during the holidays for family and friends. They’d share their desserts with their family and friends and very quickly I started getting orders annually for the holidays season. In 2011, while planning my wedding I went to Michaels to pick up some items for the wedding and I ventured into the baking isle. I was amazed at the classes, products and the advancement of baking over the past few years. I felt like a kid in a candy store. I was a probation officer at that time and I was very unhappy with my career. Baking became my stress reliever and soon it took over my home and my life. Very quickly the word started spreading that I was the person to see if you wanted cakes and sweet treats. 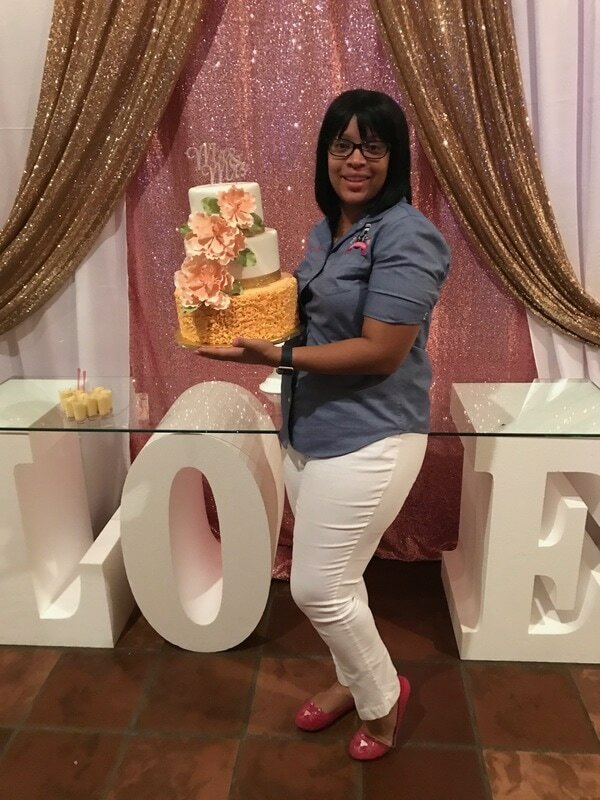 With the help of my husband and family Exquisite Kreations,LLC was born and since that time the business has grown significantly. I now operate a bakery and event studio full time in Miramar, Florida. I also travel the United States as well as teach online teaching bakers and treat makers how to make a variety of desserts on how to get started in the “Sweet Industry.” This experience has been life changing to say the least but I’m enjoying every moment of it. There is nothing else in the world that I’d rather do. I live, eat, breathe and sleep sweets.